Miniature ball bearings are machinery components, which comprise an outer ring, inner ring,Balls, retainers, shields and snap rings. 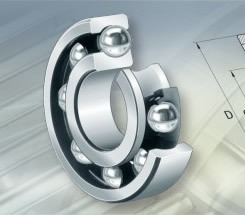 micro bearings and micro ball bearings mean ball bearing,Up to 30mm in external diameter. Essential to high-precision rotary components, ball bearings determine Rotational accuracy.We are professional miniature precision ball bearings manufacturer and miniature roller bearing factory in China. 2) With less coefficient of friction, high limiting speed. precision instruments,electric motors, automotive applications, home appliances, industrial equipment,rc.